Following Tesco's roasting by Viva Animal rights for using meat to make electricity (5/8/09 Telegraph) Tesco have asked The Vegan Society what it is that Tesco could do better for their vegan customers as part of a general review. My ideas for Tesco's new vegan range were, first steps first, nice and easy 1) A healthy vegan sandwich 2) Take the unneccesary milk out of everything from baked beans and tomato ketchup to naan bread and sandwiches 3) Vegan Pizzas and Vegan Chocolate Cake. and yes of course I gave them a recipe! Where will you be? What will you be doing? Watch out cruel world - the peasants are revolting and they are turning vegan sausage by sausage. More and more people are grasping the concept by Paul McCartney of part time vegetarianism. Mark Bittman of the New York Times claims to be Vegan before 6pm. And why not? How many Catholics do you know who use a condom or don't eat fish on a Friday fryday, how many Jews do you know that have the occasional prawn or salmon or even worse the old bacon sandwich, or worse still a ham and cheese sandwich?? How many Christians do you know that work on a Sunday, or Jews who work Saturday, or Muslims who work Fridays and skip going to Mosque?? Why should vegans exclude themselves from the advantages and convenience of hypocrisy ? Now Vegetarians can damage their Livers Too! Arrrgghh! Eureka! Now animal fat addicted cheese munching vegetarians can eat saturated animal fats to their heart's discontent and just pop a few of these diet pills to stop them absorbing fat onto their heart, clogging up their arteries and reshaping their bottom and belly. Experts say timing is everything, however this they screwed up on as news breaks today of a new report on diet pills such as ALLI (the fat busting pill in the windows of almost every chemist and pharmacy in the UK) that suggests these miracle cure super magic bullet diet pills can increase the risk of liver damage. 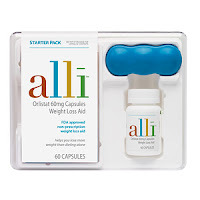 The makers Glaxo Smithkline (GSK) have dismissed claims that the research proves diet pills such as Alli can cause liver damage, suggesting it's the fact that people are fat that makes them more prone to liver problems, not their miracle diet pills that they say can help fatties lose an extra 1lb a week - 3lb of weight loss per week instead of 2lb weight loss. 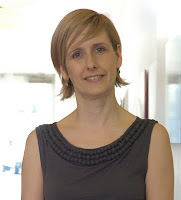 London Nutritionist Yvonne Bishop-Weston says "We were invited to help publicise these diet pills when they were first launched but we refused. We are opposed to them - they encourage the notion that people can eat the same unhealthy food and just take a diet pill to stop fat being absorbed into the body. These diet pills also perpetuate the myth that all fat is bad. Some fats are essential. It's too much saturated animal fat and processed vegetable fat in our diets that is the problem. Meanwhile many people actually have a shortage of the essential omega 3 fats and EPA which is needed for the healthy integrity of every cell membrane in the body and especially the body's vital organs such as the brain." "Don't take these pills - eat more healthily, eat essential nutrient dense food rather than just belly enhancing calorie dense food" is the Nutritionist's message. 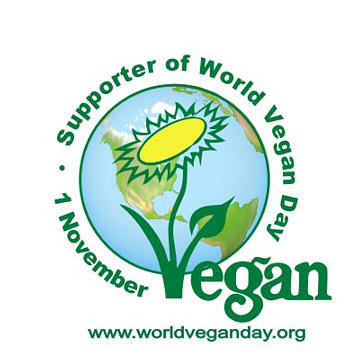 World Vegan Day Poll This year is rather special for Vegans - It's 65 years since Donald Watson first inspired people to formally recognise his philosophy as vegan and help him form the world's first Vegan Society. World Vegan Day has been celebrated every year since the 50th / Golden Anniversary in 1994 but there's a determination that this year it will be one of the most special of all. Never before has there been so much self reflection and looking forward with renewed pragmatic resolve. Why is that after 65 years veganism still fails to flourish in the way it logically should? We have the evidence, it's better for the environment, it's more sustainable, it's better for health, it's better for people, it's more ethical - civilised society should embrace it wholeheartedly! What's holding the thinking majority back? Interesting though The World Vegan Day Poll reveals a more practical potential important focus area for vegan campaigns. Previously Fresh Fast Food caterers such as Pret a' manger had started to address this issue with a range of inspired salads, vegetable sushi and the ubiquitious Hummous and roasted vegetable wrap - hell they even had Green & Blacks chocolate. Still other restaurants that do take vegan plant based choices seriously are filling the gap. Restaurants such as Tibbits in Piccadilly, Itsu and the celebrated Leon chain have their eyes and hearts firmly fixed on Pret's lunchtime trade and the pre-theatre crowd too. They are not alone though. Following Sir Paul McCartney and Celebrity friends Meat Out Monday relaunch, and McCartney family arch rival Heather Mills' determination to take over the world with her globally franchisable V-Bites more and more caterers are begining to see the light. Having equal value for money choices of equal quality on the nations menus, thus making it more convenient and more enjoyable to choose vegan can only result in one thing - more people choosing vegan - it's the only logical choice. If we manage to remove that final excuse - "oh it's too difficult" then there is nothing stopping people apart from pure selfish greed and a masochistic suicidal obcession with destruction and torture. Fashion-conscience.com, the top site for fashionistas with a conscience, is excited to be featuring some fabulous new vegan shoes from leading designers OlsenHaus, Neu Aura and Melissa. New York designer, OlsenHaus, feted for their bold, fashion-forward designs, have been featured in US Vogue and Marie Claire. Creative force behind the brand, Elisabeth Olsen, is an outspoken advocate for veganism, and has previously designed for Calvin Klein and Nine West. It seems Bunny Boiler Kate Moss is bored with chain smoking Vegan boyfriend Jamie Hince, she's calling 'Drivetime' by dampening bed hopping with a warren's worth of rabbit car crash, a throw made of skinned bunnies that is making Jamie throw the towel and throwing up his arms and his guts in response to Kate's latest display of inhumanity. Jamie's said to be hopping mad about her total disregard for his feelings on Rabbit fur and alleged to have said "it's me or the dead things"
Perhaps Jamie has had enough of Kate's zombie like sado-masochistic necrophilia loving. What do we care? chain smoking Jamie is hardly a good advert for healthy sustainable ethical living.